I received mixed reactions to last month's Sudoku variation. 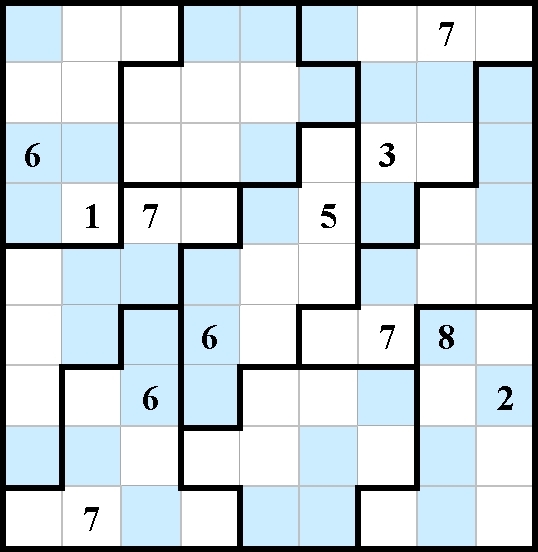 Some readers have been telling me that they found the puzzles with irregular shapes more enjoyable, and others found that the even-odd varieties tend to be easier and more fun. Now, with that in mind, we start off the year with a big bang by pleasing both parties with a Sudoku that is both of these things at once. Be warned, this one is a real challenge! Instructions: "Fill in the grid so that every row, every column, and every nine-square subsection contains the digits 1 through 9." Furthermore, cells shaded in light blue must contain an even digit, and non-shaded cells must contain only odd digits. There is only one solution to each puzzle. For more information on the original puzzle, visit http://www.sudoku.com/.